This performance will also be presented at Hamer Hall on Thursday 21 and Saturday 23 March. Step inside the mind of a classical music giant! Experience the raw power of Mahler’s epic final symphony like never before. Take your seat in Hamer Hall and transport yourself to the early 20th century as MSO Chief Conductor, Sir Andrew Davis interviews Gustav Mahler himself (played by Matilda Award-winning actor and director, Tama Matheson). Mahler had more challenges than most; grief for a dead daughter, a forced resignation from a treasured conducting post at the Vienna Opera, anti-Semitic attacks, the diagnosis of a potentially fatal heart condition, and the final straw, his wife Alma’s infidelity. As a result, his Tenth Symphony is one of the most personal of the cycle. Constructed from Mahler’s letters, diary entries and the tales of his contemporaries, Tama and Sir Andrew will fill the hall with emotion, humour, pathos and context for the masterpiece itself. “One of the most troubling, paradoxical works in musical history” – The Guardian. Two-thirds through the first movement of the symphony you’ll hear a terrifying howl of anguish, a shrieking chord packed with dissonances, with a trumpet continuing on an A note (for Alma?) that – thanks to the unresolved tension – is unique in music. Mahler added it to the score after opening a letter mistakenly addressed to him from the dashing young architect Walter Gropius, his wife Alma’s lover. Mahler asked her to choose and she stayed with him until he died the following year. The work is cast in five movements, with two adagios framing two scherzos and a tiny, aching intermezzo at the centre. On the radiant final pages, Mahler leaves the words, ‘to live for you! To die for you!’ and the single word ‘Almschi’ under the closing bars. 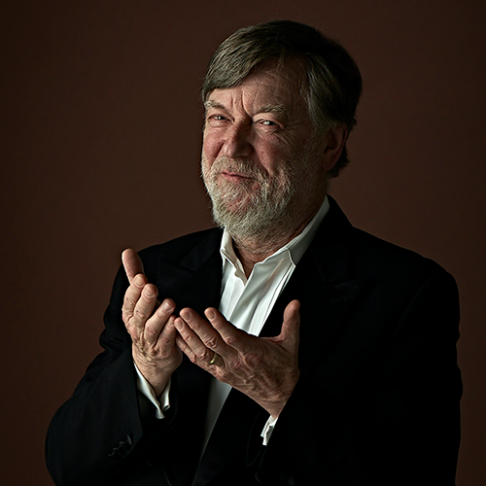 Step inside the mind, and the music, of a classical music giant under the guidance of Sir Andrew Davis, Tama Matheson and the Melbourne Symphony Orchestra.